I recently came across this site and found that it is quite amazing. Megamaps allows you to print maps from single page up to seven feet across. What is really neat about the printable maps is that they are printed out on regular sized paper from your every day printer. I wanted an interactive map of the United States so I printed a map that was three sheets long and two sheets wide. I ended up with the United States printed out onto 6 sheets. Here is what it looked like after printing. 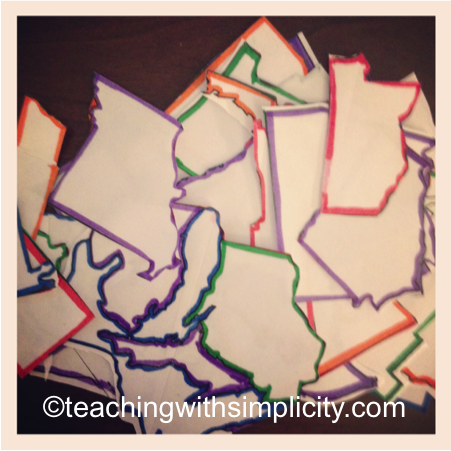 I then pieced together the map, outlined each state, and laminated. 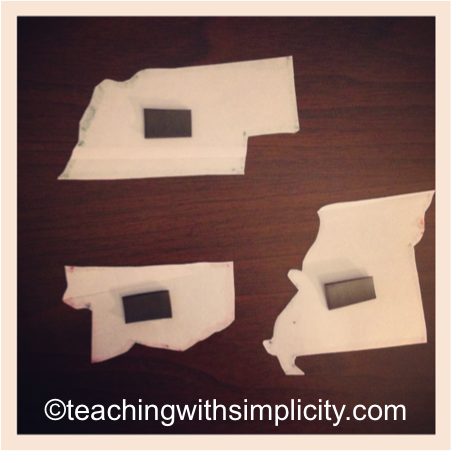 Next, I cut out each state and then placed a magnet strip on the back. 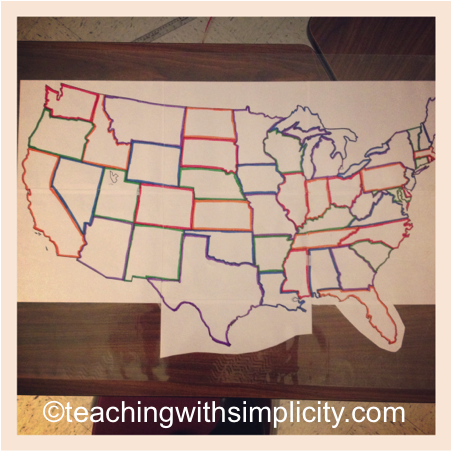 The most time consuming step was to outline each state, which was unnecessary, but I wanted it colorful. Here is the finished product that remained on my marker board for students to put together. They loved the idea of the large sized United States puzzle. 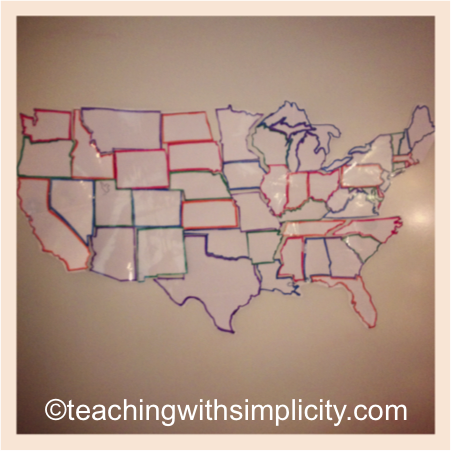 Since the map is laminated, have students write the names of the states. 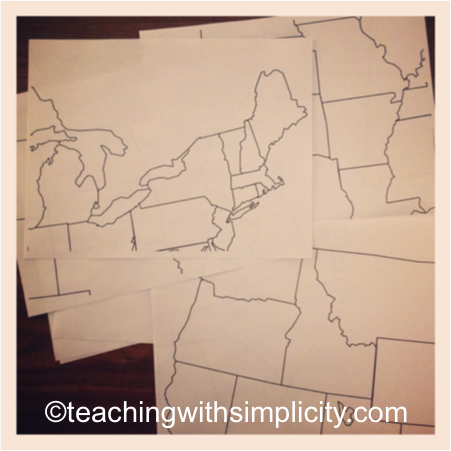 Quiz the students by giving the name of a state in which they are to locate and remove the piece. Divide the map into regions. Name 4 states north of______, south of _____, east of _____, etc. Label the oceans surrounding the United States. You can find Megamaps HERE.